https://twitter.com/MainMemory...011473784385536 Credit to MainMemory for this. I guess Swap Force was named Shapeshifters in development/the name was changed at a late stage. Also when N. Sane was developed, Imaginators didn't have a name yet apparently. The most interesting thing to come out of this, though, is that apparently a Skylanders game was scheduled to release in 2017, but development was either stopped at an early stage or was cancelled. I do remember that the early propotype for the remake was basically a Skylanders game “forced” to work like a Crash one, with all the assets and even physics from that series. Some are even in the final version of the N. Sane Trilogy, like the gunsight in Warped’s airplane levels taken straight from SuperChargers. 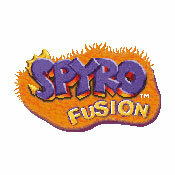 Mmmh... Perhaps the 2017 title has simply been postponed due to the teams working on the Reignited Trilogy and potential new Crash game (which might have already been hinted with this exact video, due to the slightly less linear level structure and the freezing crate) respectively, but I wouldn’t be surprised if they started from scratch in case Activision wanted to revive the franchise. Knowing there was at least one more title planned makes be both happy and sad. Both of those things are real, JCW. Strata - Art of Swap Force confirmed the original name was Shapeshifters, and Liam Robertson talked about Skylanders 7 being cancelled as well as iirc this being mentioned in someone's resume somewhere. The strangest part is Slam Bam of all characters being leftover data. He's not a VV character nor any of the prototype names were shared with him. ****, I didn't know this was already known. Not the information, I meant the game title and Sky 7. This about skylanders files on N. Sane is new! It was known that Alchemy and Skylanders SF models and renders were used as a "testing model" for N.S.T. Yeah, but Template Template is made for testing, Slam Bam, Roller Brawl and SS Terrafin are a bit of a stretch since none even look like Crash. I wonder if we'll ever know what Sky 7 would have been about?